I've just recently found the site and am curious to see how it goes and what goes on. It's cool to see that there are Christian furs that see and want the "good" part of the "furry fandom." That choose life over death and love over hate. I'm hoping this site is legit. Welcome! I hope you like it here. Would you like to tell us a bit about yourself? Maybe you have some hobbies? Hey, thank you, man! I appreciate the welcome! I'm just a laid back, easy going guy. I like to workout and exercise. Play games and guitar and piano. Just doing the conditioning mostly. A lot of QM (quadrepedal movements) and sprinting, pushups, squats, pull ups and abs etc.. All in various forms, speeds and difficulty. But now that it's colder, I'll probably get a gym membership and start lifting. Interesting. I'm curious about what led you to the site? Also, maybe you could tell us a bit about what your beliefs are. You seem like a rather normal human that stumbled in here out of pure curiosity. Hello and welcome! I play piano too. What games do you play? Welcome to the Forum! I'm the resident coffee dragon. Like Tomo said, you ought to tell us your beliefs a bit. Well, what lead me here was fellow furs that are Christians! I saw a link posted in a Shout on Fur Affinity and wanted to check it out. I was like "Christian? 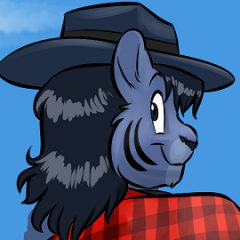 Fur? Sweet! *Tap*"
I'm not actually a furry myself, no. But I do enjoy everything about it! Kind of like someone who enjoys watching sports and everything about it, but doesn't care to actually play it. My beliefs? Like my faith? Well, I believe the bible word for word exact and have my faith and trust in Christ Jesus alone. I often talk to Him and try my best to listen to Him and do what He asks of me. Or at least what I believe that He says. Awesome! What exactly "being a furry" is, is often contested. Not even us really know. Maybe I'm a furry in denial. 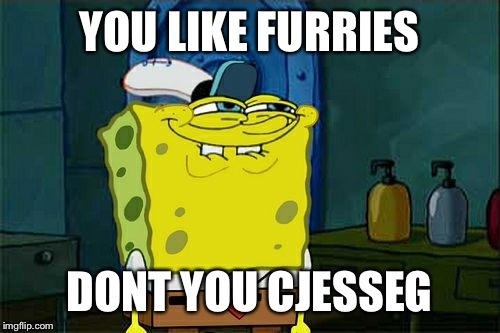 I would go to a con in a fur-suit for sure! I also have two characters. But I still wouldn't call myself a furry. I think it's because I'd rather people see Jesus in me, rather than a furry guy. I have my heart more to Jesus than I do in the furry game. And I belIeve where your treasure is, there your heart will be also. My treasure isn't in this world it isn't the furry stuff, or anything else. It really is in Jesus alone. Now I'm not a perfect saint, I still have a lot to learn and Jesus is still working on me in many areas. But I love Jesus more than anything. Anyways, all that to say; I like the furry stuff, but my hearts not in it. So I don't label myself as one. Know what I mean? Welcome to CF! Might I say, I sincerely admire your devotion to our Lord. *gasp* A HYOOMUN! I THOUGHT THOSE WERE EXTINCT! Oh no! Is the human crying because he's no longer human? Just joking of course. By the way I L-O-V-E that pic Cobalt. .-. Labels aren't that important, and especially when we might label ourselves one way and the rest of the world may label us another. For instance, we say we follow God while the world says we are crazy or justify our beliefs with imagined beings. Part of it is perception. You'll find a few here who actually want to minister specifically to the Fandom. Others who wish to debunk stereotypes to free people from the thought that "because I'm this I'm also that." Regardless of how we define ourselves, the bottom line is that sometimes fellowship can be easier when you have common ground. We are Christians and we like anthropomorphic animals. Hahaha I've seen that picture before but I love it! It's so true and funny! Well said. I know exactly what you mean. Better relate to others to bring them to Christ. Like how people go through a lot when they're younger and turn to Jesus later and can win the souls, who have gone through similar things themself, easier. Since we like anthropomorphic material, we can win the souls of those who do not know Christ, easier. Because of our common interest. I've helped one or two in the fandom turn to Christ before. One guy even had self deliverance and felt the weight fall off of him and was free. Like Skyrim, Minecraft or things similar. I love Skyrim even though I've never played it. Looks fun! I'm with you on CoD and GTA. The only shooters I've ever enjoyed have been Splatoon and Star Wars Battlefront 1 & 2. I'll be honest, GTA seems like fun, especially the multiplayer. It's just a shame it has to be so vulgar And overly violent. That's the only reason I don't play it. Oh my gosh!! Me too! I'm so glad to find someone who feels the same! Man I strongly dislike all that vulgar, perverted stuff in movies and games. Why do they have to put all of that man? ?